Modern bikes are wonders of electrical complexity. Electrical systems are well designed and failures are rare these days. But batteries are the one component that seem to defy evolution, having remained much the same as when first introduced – that is, until now. About the only time we ever think about a motorcycle battery is when it fails. It is a relatively simple device, consisting of lead plates and a liquid electrolyte that promotes the free flow of electrons from one plate to the next (Figure 1). This battery design is called a “flooded cell” and is the most common battery used in motorcycles. It is an electron storage device that can be drained and recharged multiple times and will hold an electrical charge between rides. It’s cheap and provides good power. But, since the corrosive electrolyte can evaporate or leak, it requires periodic maintenance. As motorcycles evolved into ever more complex machines, so, too, did the demand for consistent and plentiful electrical power delivery. Turning the key on my ‘67 Triumph Bonneville did little more than enable the ignition system (applied power to the coils). Turning the key on a modern bike, however, does much more: it enables the fuel injection system, the Engine Control Unit (ECU), electronic ignition, and other electrical components that are essential for the engine to run. And, all that power is in addition to what the battery must deliver to turn the engine over. There are newer battery designs, such as the sealed cell and the Gel Cell (Figure 2). 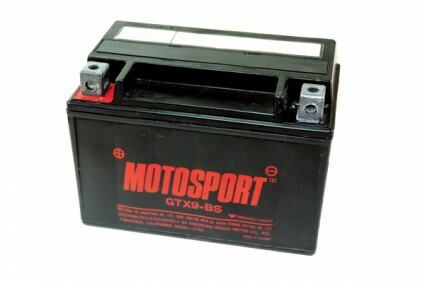 The electrolyte in these batteries won’t spill or leak, which is a major advantage for a motorcycle application. These batteries are also considered maintenance free, as there’s no need to add water to the electrolyte. The gel cell, which requires a lower charging rate than either the standard flooded cell or the sealed cell battery, can be damaged by over charging. Thus, using common motorcycle battery chargers with gel cell batteries could be problematic. Another new design is the Absorbed Glass Mat (AGM) type, wherein the electrolyte is contained in a very fine Boron-Silicate Mat closely wound around the battery electrodes. These batteries are physically robust, have a very low self discharge rate, and require no special charging routines. They can last for years and are well suited for motorcycle use. While initially expensive, they are dropping in price and can be sourced from many discount battery outlets. By shopping around, you can usually find a good bargain. I use AGM batteries exclusively in my bikes. On the more exotic side are the new Lithium-Ion batteries from Shorai. While expensive, they have all the advantages of the AGM design, plus a greater power density, resulting in a lighter weight battery for the same power output. They feature a very long service life and are more environmentally friendly. While the jury is still out on whether or not the market will embrace this technology, to me, the writing is on the wall. We will all have lithium-ion batteries in the future. Battery failure while on the road is one of the most common problems you are likely to encounter. Slow starting is the most likely symptom, but problems with your ABS, fuel injection, and other electrical systems can happen as the battery grows weaker. When the battery fails, it usually does so when the bike has been parked for a length of time and the battery is not being charged by the bike’s charging system. Figure 3 A good battery when charged should read a little over 12 volts. As motorcycles become more sophisticated and come with more options and capabilities, the demand for clean, consistent power from our batteries will continue to grow. Fortunately, we have some good options to replace the aging flooded cell units. But even new battery designs need occasional attention. As with most maintenance items, a little bit of care can go a long way to keeping you on the road and enjoying the ride. So, how can we extend the service life of our batteries and avoid “dead battery” down time? It’s really pretty easy. Just follow these suggestions and you should enjoy many trouble free miles from your next battery purchase. All batteries have a service life. Standard, flooded cell batteries should be replaced at least every two years. AGM batteries should last much longer. Keep your batteries charged and use a charging rate suitable for the battery. Remember, gel cell batteries require a lower charging rate to achieve maximum service life. 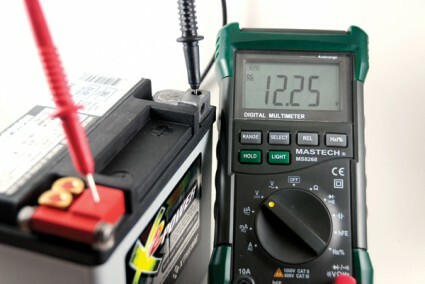 A fully charged battery in good condition will present more than 12 volts when measured with a volt meter (Figure 3). A charged battery that measures less than 12 volts is probably ready for the recycle bin. It is not necessary to leave a battery plugged to a charger 24/7. Even a Battery Tender® can eventually evaporate the electrolyte from a flooded cell battery. 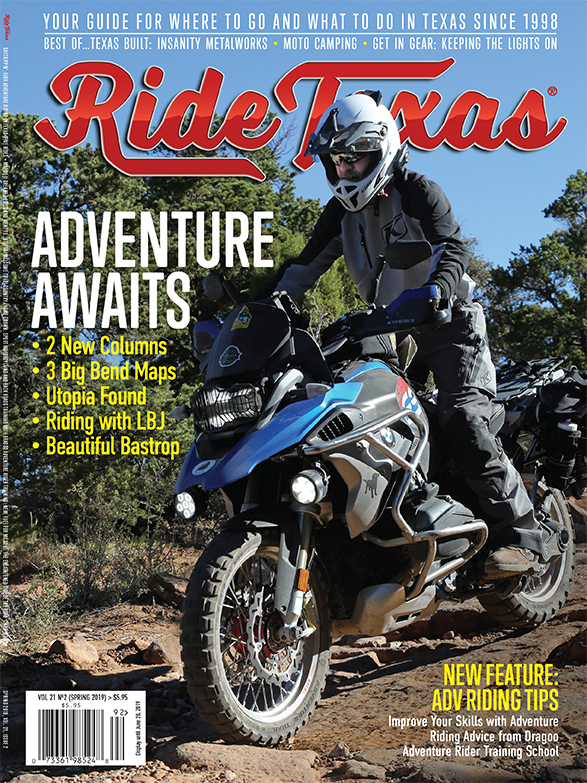 Try unplugging your charger for a week or so between charging, especially during riding downtime. Maintain proper electrolyte levels in a flooded cell battery. 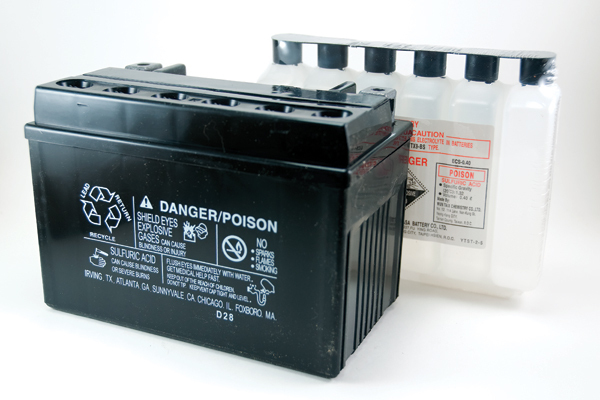 Check the battery at least once a month and use distilled water to top off the cells. Once a battery has gone dry, it should be replaced, as it’s no longer reliable. Keep batteries in a temperature controlled environment to prevent freezing or excessively high temperatures. Temperature extremes will cause a battery to fail prematurely. Check your bike’s charging system at least once a year. Use a volt meter to measure the battery’s static voltage and then again while the bike is idling normally. A good charging system should maintain something near 13.8 volts of charging potential at the battery terminals. Charging systems are sensitive to engine speed, and the voltage may rise and fall with RPMs.